The mark of a really great horror movie is its soundtrack. 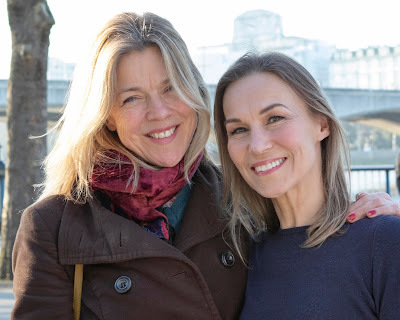 Whilst all fictional feature films require our disbelief to be suspended, fantasy stories or genres such as horror require that degree of suspension, or burden of proof, to be considerably higher. Burst the fragile bubble of that illusion with a hammed up performance, sloppy continuity or worst of all sound that is jerky or distracting and the magic is gone. 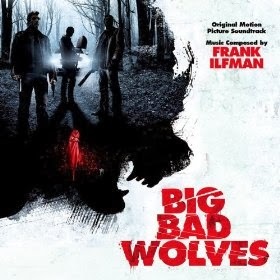 Key to the soundtrack is of course the score and in Big Bad Wolves Frank Ilfman delivers a suite of compositions that perfectly complements the work that is going on both in front of and behind the camera. Big Bad Wolves is a revenge tale with moments of emotional agony, horrific torture and suspense. The opening sequence presents innocent children playing hide and seek. Harmless stuff until one little girl disappears. Throughout this introduction not a word is spoken save for the gleeful noises of kids at play yet behind these traditional carefree images Ilfman's score pulses. It is the composer's talent that suggests the impending menace and whilst film directors Navot Papushado and Aharon Keshales convey convincing suspense, it is Ilfman’s work that ensures our minds are tricked into believing that what we see on screen is terrifyingly real. Melodies are sharpened with some jarring brass work and there is a hint of John Williams that is suggested in some of the movie’s recurring motifs, most notably in the menace that surrounds the alleged killer and in the typically-Jewish mother-son guilt that is wreaked upon the victim’s vengeful father by his own meddling mother (the murdered girl’s grandmother). This thread of Semitic guilt and vengeance that runs through the movie evokes just a hint of the haunting riff that Williams wove through Schindler’s List. Ilfman understands working with Papushado and Keshales. He scored their “out of left field” debut feature Rabies that put Israeli horror on the map and is working with the pair again on their segment of The ABCs Of Death 2. Big Bad Wolves however marks a contribution to a feature film that has earned worldwide acclaim. It is a hauntingly scored movie and for a tale that touches upon suspense, dark comedy and gory horror before concluding in a moment of achingly bleak despair, Ilfman serves the narrative well. His album is beautifully crafted collection of work that suits the modern genre.